Thank you for visiting our website. Continuum Integrated has existed to provide some of the highest quality behavioral healthcare services available to children, adults, and families in the Houston area since March 1999. Since October 2000 the organization has been nationally recognized by the Joint Commision for accreditation as a provider in Houston, Texas. We work diligently to build our reputation for quality healthcare and we continue to evolve with enriching programs in our goal of providingexcellent clinical behavioral health care. Our clinical team has experience helping people just like you manage the toughest of issues, and discover solutions and skills you can use for a lifetime. Our utmost priority at Continuum Integrated is to provide our patients with the treatment and resources needed to return to their communities as healthier individuals. The responsibility of providing each and every patient the kind of care we would expect for ourselves, or our own loved ones, is something we take very seriously. We value cultural competence which provides the person-centered treatment that enables the client’s preference to be incorporated into a model to integrate the unique cultural experience of each person. I hope that our website provides you with the information you need as you search for help for yourself or loved one. I invite you to contact us today with questions or to receive more information on our programs and treatment team.  Continuum Integrated is fully accredited by The Joint Commission (jointcommission.org) and by the state of Texas licensed to provide substance abuse treatment.